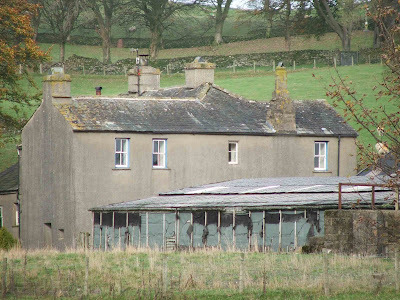 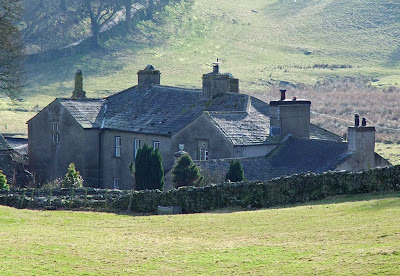 Whittington lays about 2 miles down the B6254 from Kirkby Lonsdale. 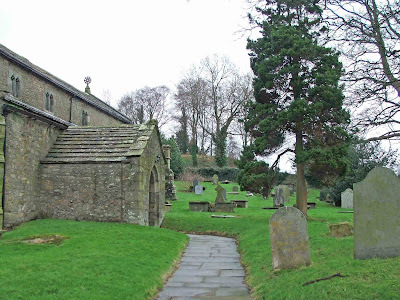 The church of St Michael the Archangel lays about a hundred yards up the hill on the right hand side (parking is a little tricky, so be careful). 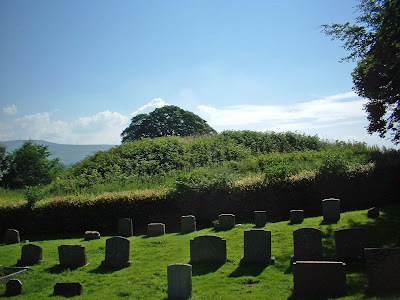 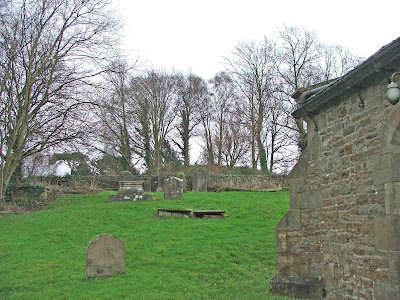 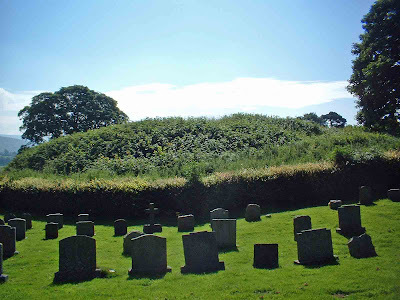 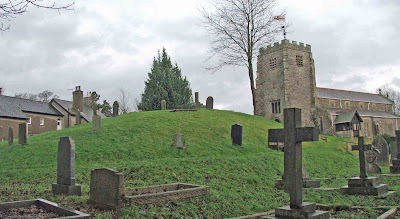 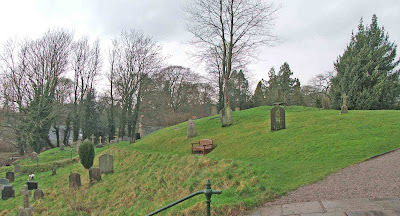 The mostly 15th century church is built over the top of the castle remains, and the motte is only just visible as a slight mound upon which a grave yard has been laid out. 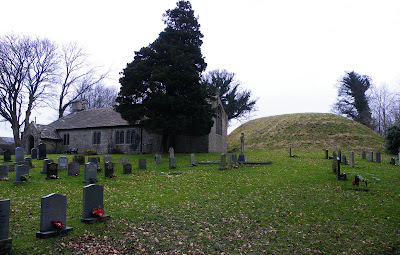 The bailey and it’s ditches and earthwork defences are no longer visible due to both the church and the grave yard being built on and around them. 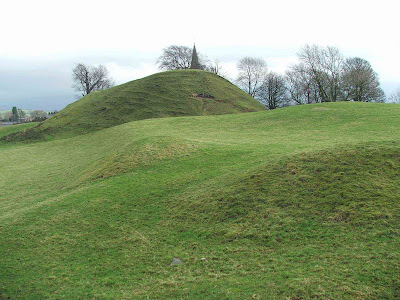 The low motte is around 50 metres in diameter, and around 12 metres high at its tallest point, topped by a sundial. 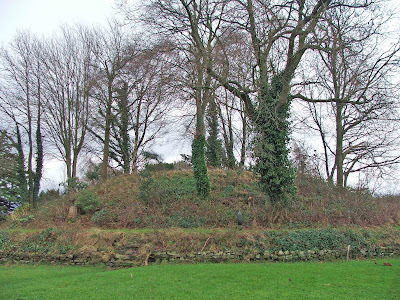 The whole site stands about 11 metres above meadows to the south of the site, perhaps enhancing the defensive aspects of the castle. 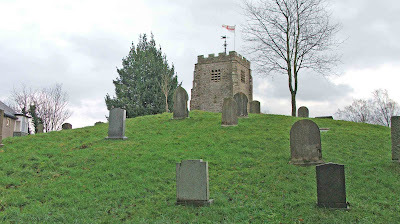 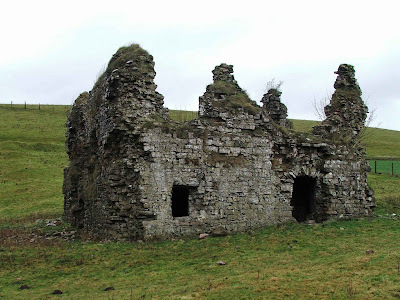 It is believed that a church has stood on this site since the 1200’s, although the current building dates from the end of the 15th century. 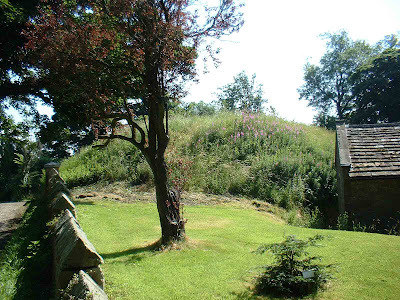 The fact that the church is built so close, in fact over the top of the motte, could indicate that the original church, whatever form it may have taken, would have been within the bailey of the castle. 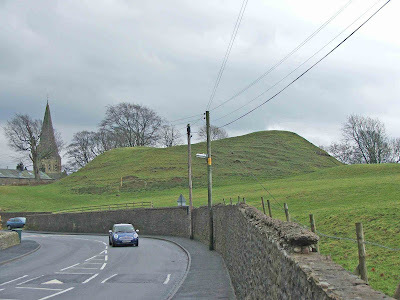 The location of a church so close to the earthwork remains is something that most of the Lune valley motte and bailey castles have in common. 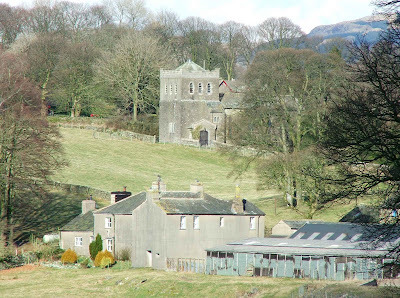 This can be seen at Burton in Lonsdale, Melling, Arkholme, Kirkby Lonsdale and Halton. 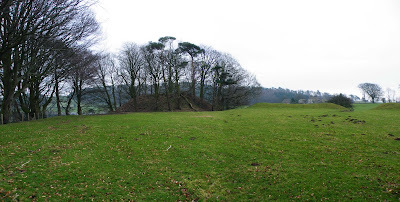 As at Halton, Earl Tostig is associated with the pre-Norman manor here, and on some early maps, the motte and bailey castle site is marked as a 'moot hill' possibly a place where the Saxon earl would have held court over local affairs. 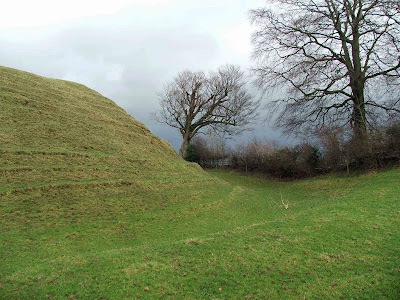 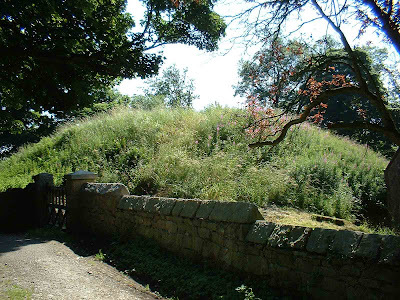 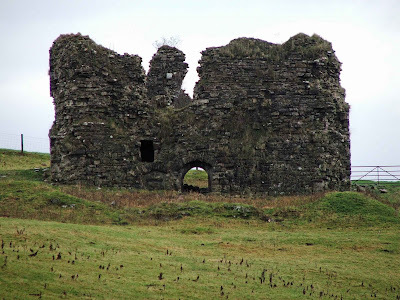 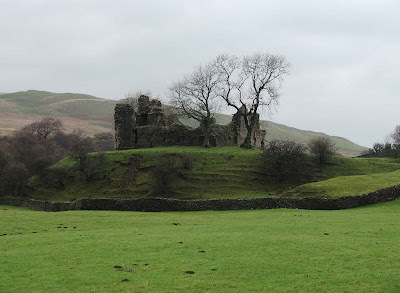 The fact that the Normans built a motte and bailey castle over the site may have been to assert their ownership over the area, and hence to eradicate any reference to the defeated Saxons.